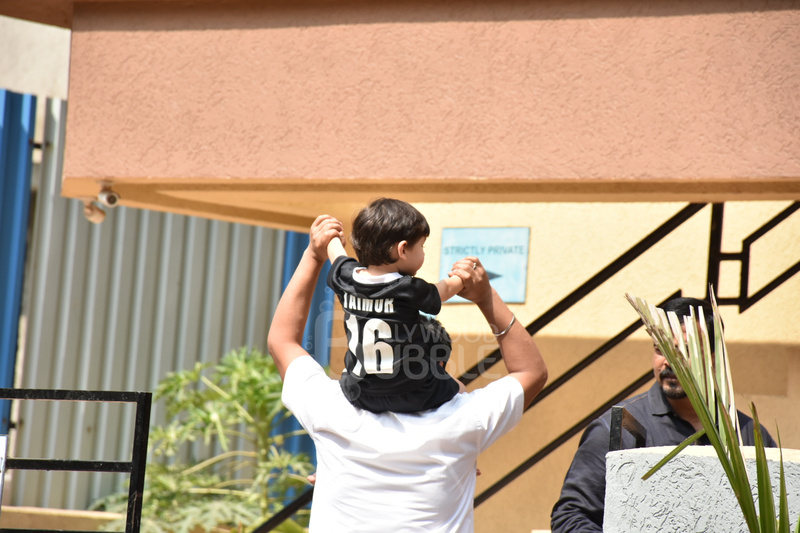 Taimur on a piggyback ride on the shoulders of one of the staffs. 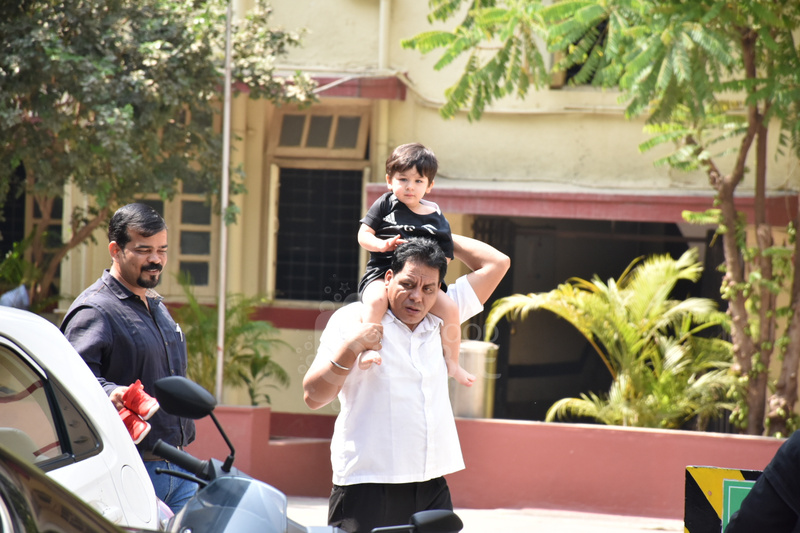 Taimur has become media friendly and posed for the camera as usual. 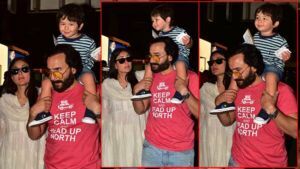 Taimur is not only the cynosure of his parents but also of the media. 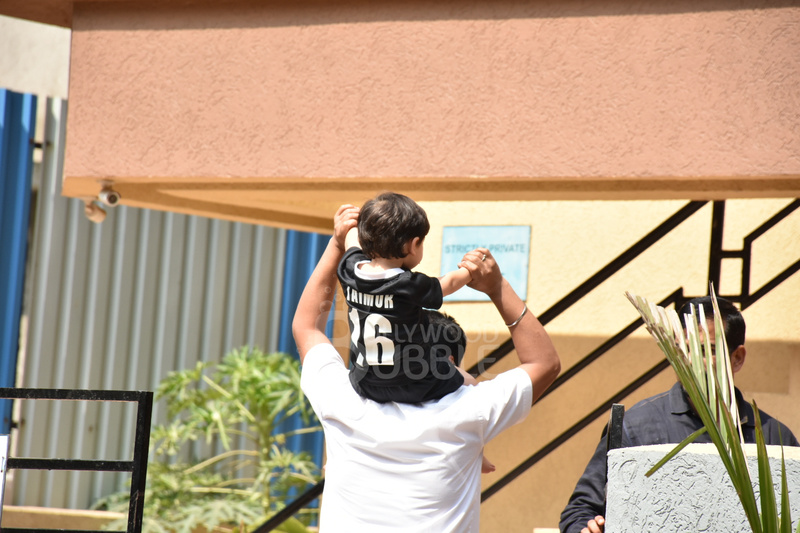 Taimur was seen in a black jersey with his name printed on the back. 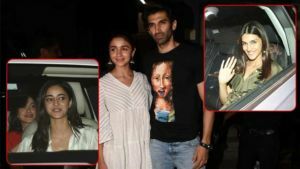 Is Taimur gonna play football with Ranbir Kapoor? 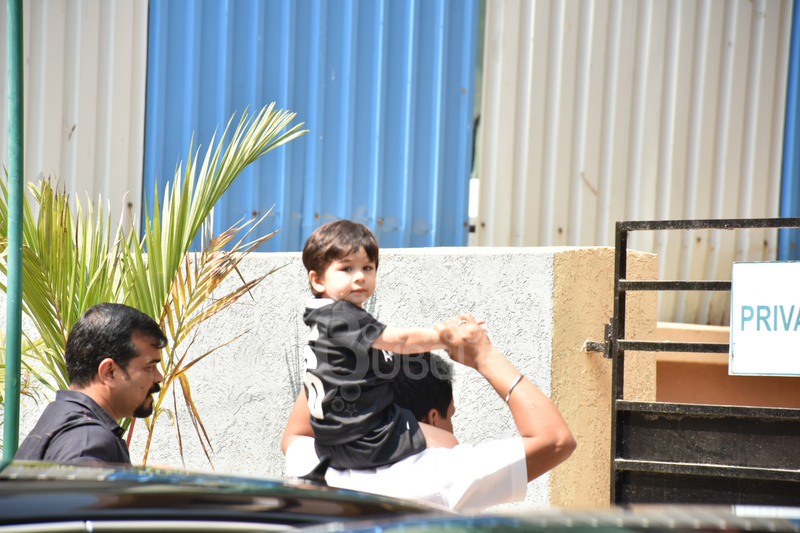 These days Taimur's mamu Ranbir is seen playing football. 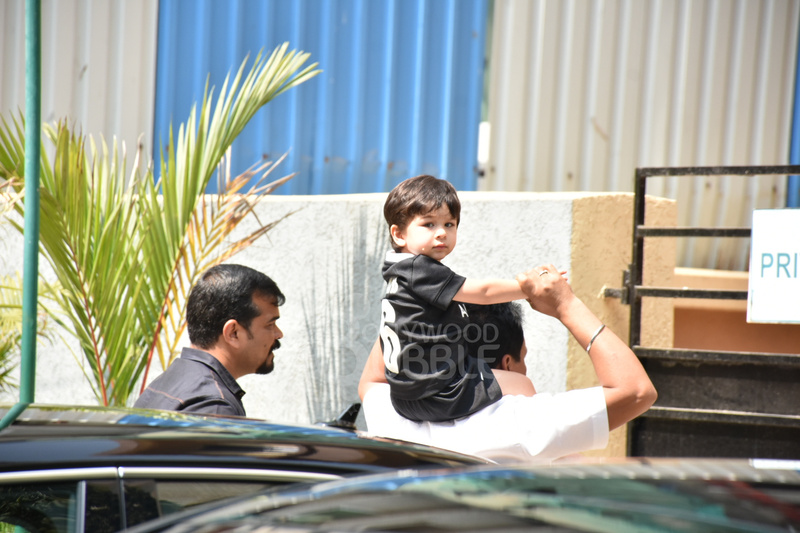 So, is Taimur gonna play football with Ranbir? Well, we would love to see both playing.